You can load your own map or choose one of the samples, point to where you are on the map and Wifiner starts measuring wireless signal right away. Run a survey by walking around the space you wish to scan and click the point on the map that corresponds to where you are standing. 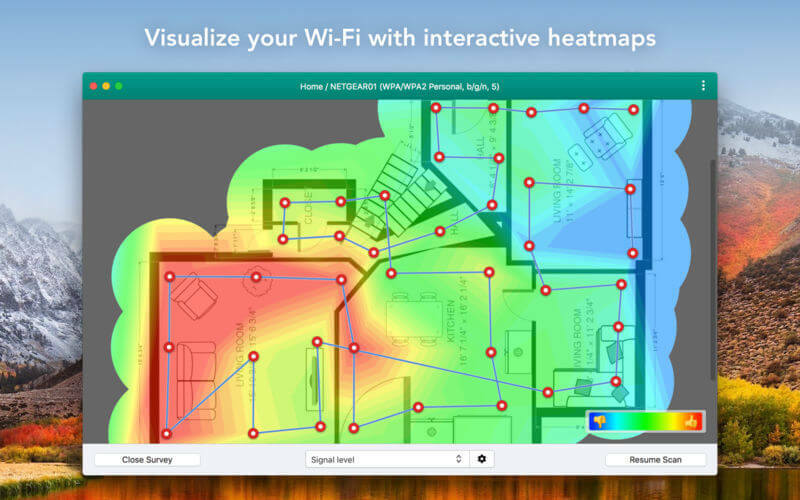 The visual Wi-Fi map in the end lets you see all "dead" zones ( those not getting any coverage) so that you can optimize hotspots' placement. 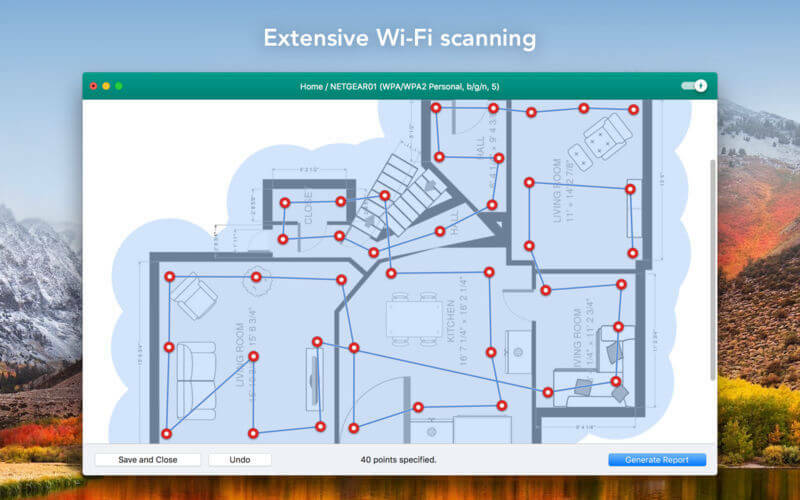 No need to be a network expert to improve your home or office Wi-Fi today! 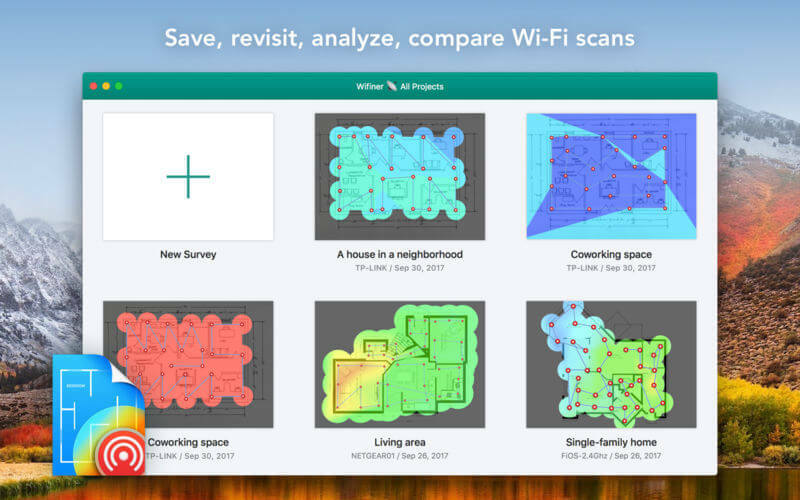 WiFi surveys are an important step in determining the suitability of a specific area for implementing an efficient WiFi network. Such surveys help finding the best spot for each access point of your future network so that the coverage is even and steady throughout. Requires a Mac with a built-in Wi-Fi. External Wi-Fi adapters are not supported yet but we are working on it.